"Looking by ourselves and sharing"
From 8 to 19 August the brothers of Taizé in Nairobi welcomed one hundred and thirty five young people from the five countries of East Africa (Kenya, Tanzania, Uganda, Burundi, Rwanda) for two retreats. 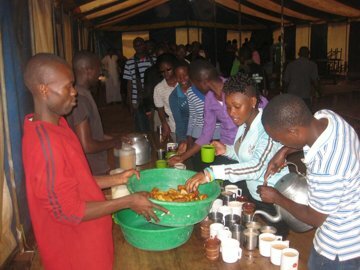 Many young Kenyans, leaders in their dioceses, took part. 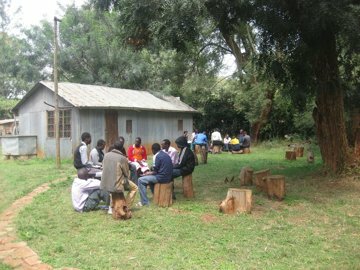 The astonishment of the participants is proof of the novelty of the experience of silence, personal mediation on the bible and sharing in groups: "I thought I was coming for a retreat, but it was just the opposite! Usually on a retreat we listen to talks morning and evening. This time it was for us to look for ourselves and to share with others ..." Another confided:"I didn’t know that young people could pray so seriously and deeply." The presence of a dozen Rwandans gave a foretaste of the November meeting in their country, for which many had come to prepare. "I learned a lot about Rwanda. The friendship forged with the youth from that country encourages me even more to go to Kigali. Even though we don’t have a common language we were really like one family."